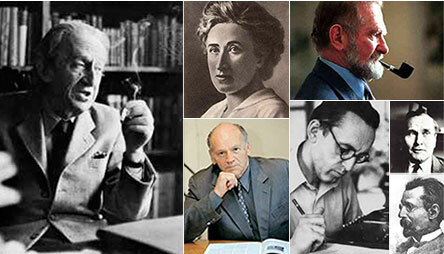 The project, supported by the European Research Council Starting Independent Researcher Grant, seeks to map the history of East Central European political thought from the late eighteenth to the early twenty-first century. Paying attention to both the intra- and extra-regional interferences, and breaking the essentialist duality of Western “core” and Eastern “periphery”, it is meant to contribute to the emergence of a truly European perspective of intellectual history. The principal aim of the Project is a synthetic volume on the history of modern political thought in East Central Europe. It is not meant to be compartmentalized according to national sub-chapters but based on a diachronic analysis especially sensitive to transnational discursive phenomena, and being equally open to supra-national and sub-national (regional) frameworks, where different national projects were interacting. The project entails the task of “redescription” and conceptual transfer, i.e. finding a trans-culturally acceptable set of analytical categories, as well as new knowledge-production – answering questions about the basic components of European political thought, formulated on the basis of a regional and trans-regional comparative analysis. It also necessitates the “trading” of concepts: both in the direction of inserting specific historical experiences and analytical categories into European circulation, and also testing the value of the interpretative models linked to such notions as “populism”. The project thus aims neither at a compendium of case-studies nor at a deductive Area Studies-type of approach that tends to eliminate differences to forge a general narrative. What it seeks to produce instead is a cross-cultural “synthesis”– the work of a compact team of multi-national composition, skilled in comparative research and drawing on the recent upsurge of transnational historiography. By shifting the reference point of historical thinking from the “West” to the cross-European experience with a special emphasis on East Central Europe, in other words, the project seeks to rethink the history of the “negotiation of political modernity,” moving from “moral ethnocentrism” and oversimplification towards a more encompassing notion of what constitutes the European intellectual heritage.